The client planned to develop a residential housing complex in a mountainous area where rugged terrain is typical. 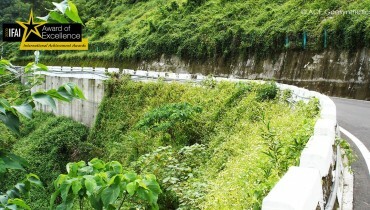 Substantial levelling off the site was mandatory because of engineering safety. 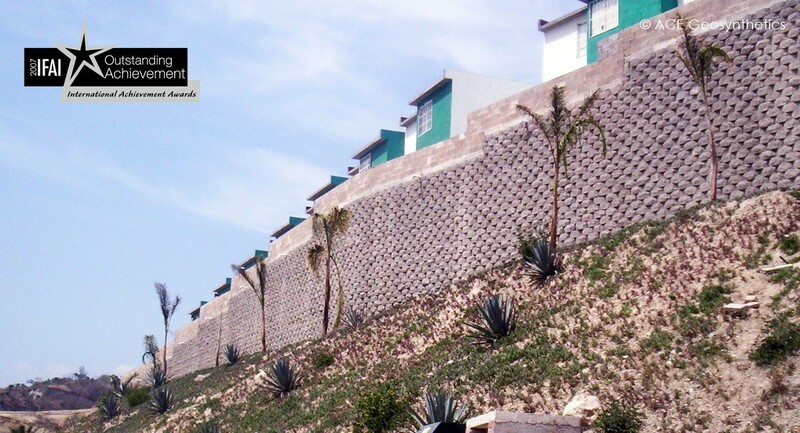 For conventional solution, multiple tiered retaining walls have to be built to accommodate different housing arrangements. However, such design not only introduces enormous amount of cut and fill earth construction but also makes foundations vulnerable to differential settlement. 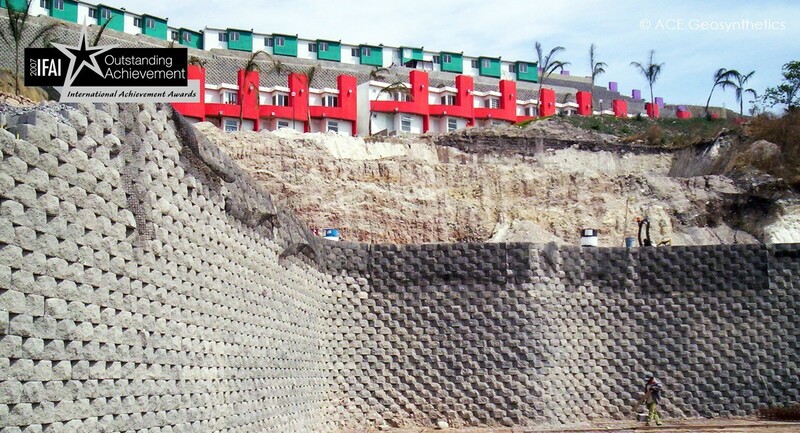 Cantilever retaining walls are costly and susceptible to seismic damage. Reinforced concrete structures also require longer time to complete. 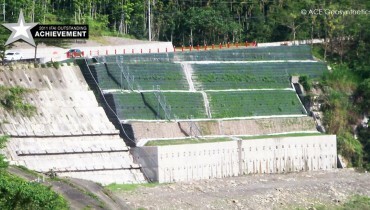 By exploring the advantages of ACEGrid® geogrid mechanically stabilized earth (MSE) wall, the developer finally adopted it as the solution for the site. 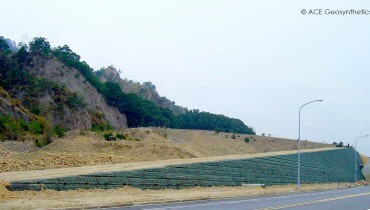 The ACEGrid® MSE wall allowed engineers to integrate cut, fill, and retaining structure into one step which made the site preparation much straightforward. 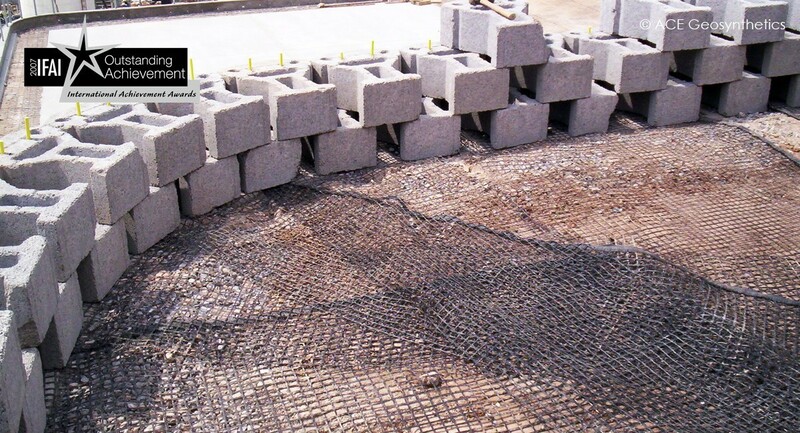 Compacted fill reinforced with ACEGrid® satisfied both static and dynamic loads, and therefore becoming a perfect seismic-stable structure. Differential settlement also was not likely for such an engineered earth structure. The total length of the MSE walls was more than 300 meters and the height were varying from 7 to 12 meters to fit the terrain of the site. For aesthetic requirement, the designer specifically selected modular concrete blocks as the face of the MSE wall to match well with the appearance of the surrounding housing complex. 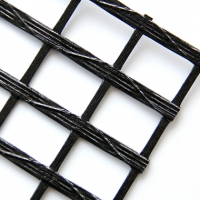 Although the site condition was difficult, the final completed ACEGrid® MSE wall presented excellent result better than expected. The reinforced earth system integrated earth construction and retaining structure into one step, and perfectly match with the appearance of the surrounding housing complex. 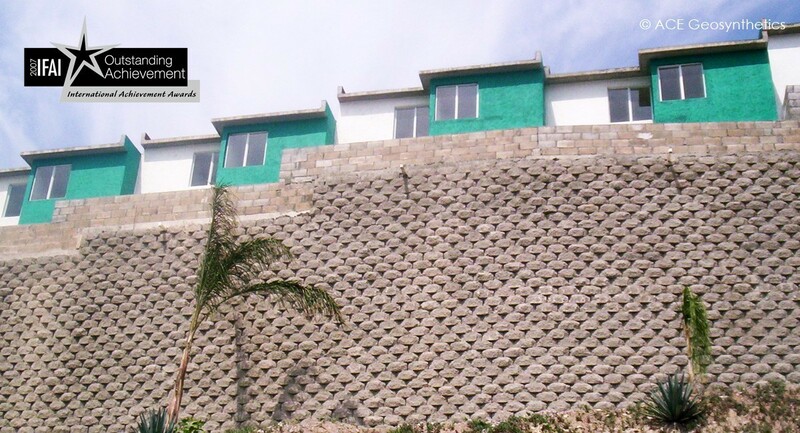 Moreover, Compacted fill reinforced with ACEGrid® geogrid eliminated the possibility of seismic damage and differential settlement. The ACEGrid® mechanically stabilized earth system has been proved totally meets the demands of the site and worthy of being considered as a model for future similar development.